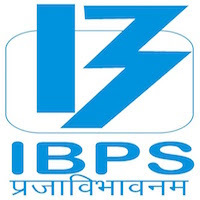 Online Application Details for Institute of Banking Personnel Selection IBPS Recruitment of 1 Divisional Head is given below. Application form and duly attested documents are to be sent to The General Manager-Administration, Institute of Banking Personnel Selection, IBPS House, Plot No.166, 90 ft DP Road, Off Western Express Highway, Kandivali (East), Mumbai 400 101. In envelope super scribed with 'Application for the Post of Post Name'.